1. Minimal crowds rocked up. Looks very bad for team Hillary so they splice together footage of crowds from her previous rallies. 2. 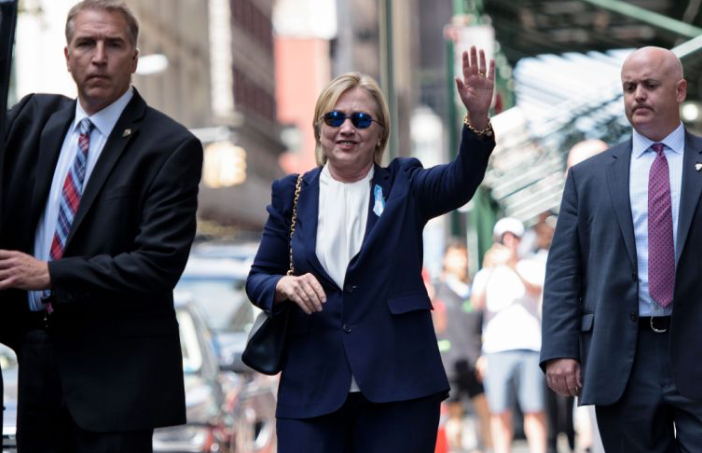 Her health is still shaky and they couldn't risk another collapse or medical emergency so they faked they pre-recorded her speeches infront of a green screen and hired a few actors to interact with her. They then animated the crowds in. Just when I thought ATS had reached Peak Stupid, this thread comes along. Yeah, right, so post a flyer announcing the event! It takes a special kind of stupid to not see that this thread is a repeat of the last thread, and comments within that thread. Polishing a turd doesn't make it less of a turd, whether one fawns over the person doing the polishing or not. Feel free to explain why there are no directions to the location or advertising of the event being held! I really like this particular Conspiracy Theory, at last something outlandish and interesting. On one hand it's complete lunacy, on the other there are titbits [like the mobile screens that don't show the background] that make it strange enough to stay interested. 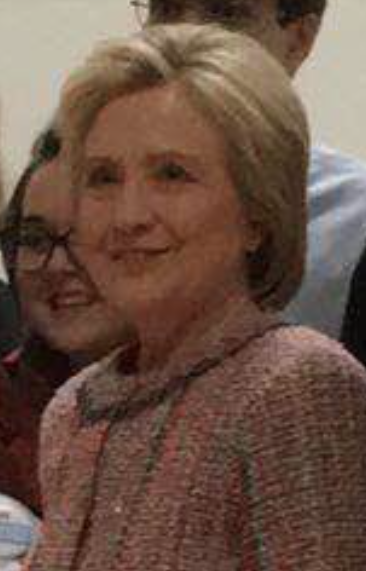 Do I believe Hillary is a hologram. Nope. Do I believe that they sort of staged this on a smaller scale and embellished it to make it look massive? Could be, has been done before. Maybe because of her health etc. Either way, the OP is detailed and well written and even though some of this is FAR fetched, it is a Conspiracy Theory par excellence and it is posted on [the?] biggest CT website. What more do you want? If we can't post THEORIES here, where on earth can you? Plus it's in 'Skunk Works'. I think I have deduced the deception, thanks to this post by Reverbs. 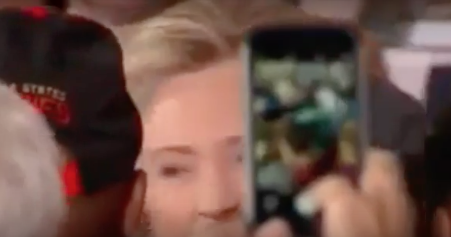 Locals that were asked to take pics took blurry photos or purposely hid HRC's face, but one. The single photo shows a woman with a different lip variation than Hillary. +She cannot -teeth smile- HRC can do nothing but. The body double that came out of Chelsea's "apartment" looks identical to the single pic we have from that day. 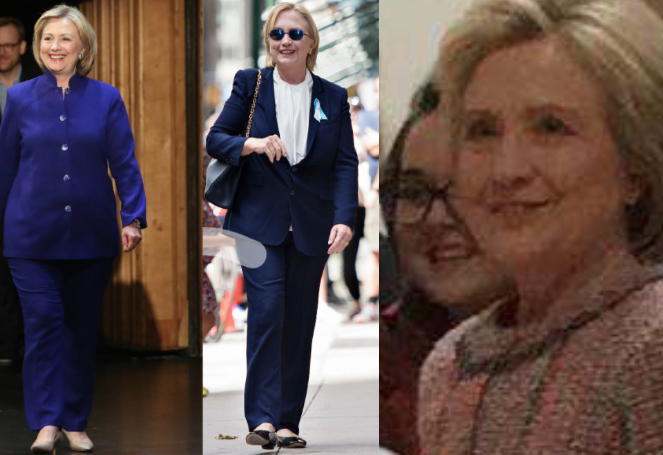 The footage, the other pictures from the event, the 'official' footage, are all done using something that applies HRC's face to the double. The fakery can be spotted in the crowd, by Lobster hands, strethchy fingers, & low res photos pushed by media. The media purposely applied thier logos or campaign logos on phones showing the deception. HRC also faded out entirely from the feeds at certain times. 1000 people were turned away from the event, but it was dead inside. Two people were kicked out showing an empty gym, while it was supposedly going on. I show all of this stuff to my wife before I post to make sure Im not being skewed by bias. I give her alternatives. She is dead on with each item. "That's not her." I question her on it, "Are you stupid, it's not her." I don't know, I wonder what really happened to her on the 11th? It's not her. Your wife is right on. I was looking at still images last night of the woman who was supposedly in Greensboro. I had no idea you were making another thread! It's not Hillary. The woman in the glitchy video has eyes which are further apart than Hillary's and she has a wider jaw than Hillary. That was not Hillary. They have been faking a Presidential candidate.